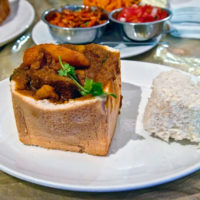 KZN’s Best Bunny Chow by Far! 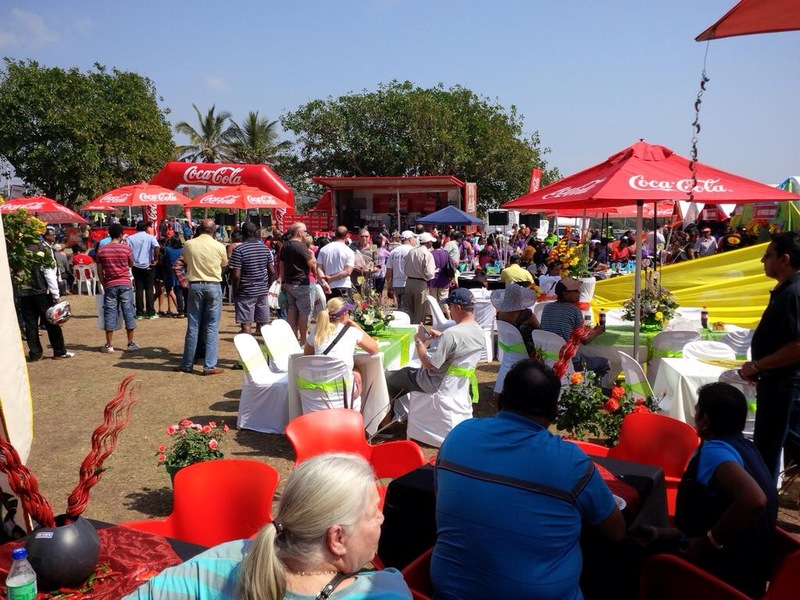 Blue Lagoon in Durban, was abuzz yesterday with thousands of people flocking to the 2014 Bunny Chow Barometer Competition. This is where the top 10 finalists of Durban’s Best Bunnies got to pull out their secret recipes and battle it out to determine who has the best bunny and the public will get the chance to sample some of the BEST bunnies in Durban (Probably South Africa!). 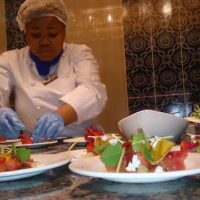 The competition was pretty gruelling amongst 10 of the Best Finalists in Durban, and after the judges finished their tastings, the winner was chosen. Congratulations to Hollywood for winning the Best Bunny Chow in KZN!! Hollywood Bets can be found in Springfield Park and Argyle Road. Some of the judges who had the tough task of choosing the winner included Cllr. Logie Naidoo and ICC Chef Sheila Somers. Spectators also had a chance to taste Baking Pan’s attempt at KZN’s biggest Bunny in a Box. It was wiped out in minutes. Queues to the different contestants were long, and the Hollywood queue was definitelyy way too long!! 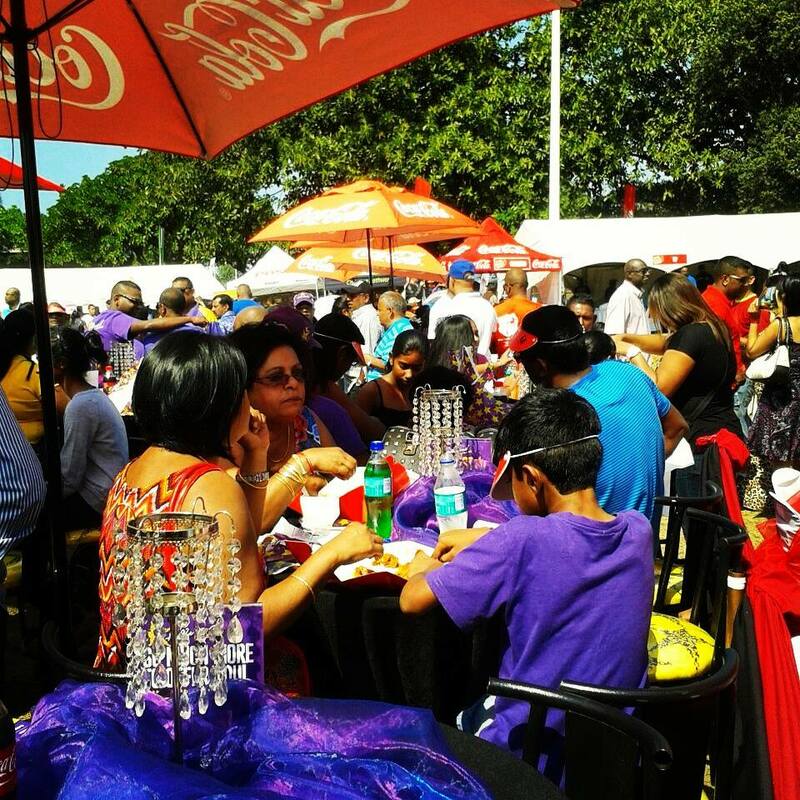 Roads to The Bunny Chow Barometer Competition had to be closed off, due to the incredible turn out and support. 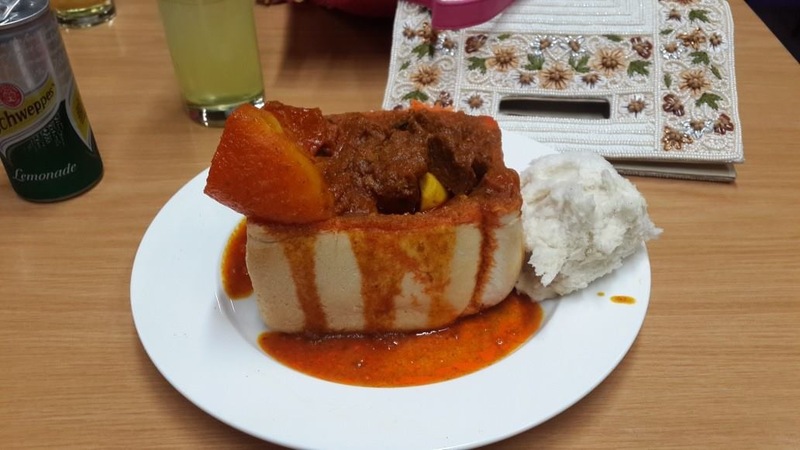 For those of you who don’t know what a Bunny Chow is, a bunny chow (commonly known as a bunny) is a South African fast food dish consisting of a hollowed out loaf of bread filled with a curry of your choice. Assumptions have been made that the Bunny originates from Durban and dates back to 1940. Stories of the origin of this infamous dish date as far back as the migrant Indian workers arrival in South Africa. Another assumption suggests that when the Indian migrant workers from India came to work on the sugar cane fields in KZN, they required an easier way of carrying their lunches to the field, a hallowed out loaf of bread was their choice to transport their veg curry. 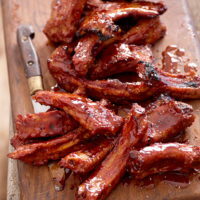 Eventually meat based bunny chows became popular. The bunny chow is extremely popular in the Durban area. Commonly filled with curries using traditional Indian recipes with a choice of mutton or lamb, chicken, broad beans or chips with gravy. A bunny chow is often served with a side portion of grated carrot, chilli and onion sambals (salad/topping). One of the best parts of a bunny is when the gravy of the curry soaks into the walls of the bread, thereby rounding the delicious dish with a fusion of flavours and textures. A bunny chow can come in a quarter, half and full loaf of bread. 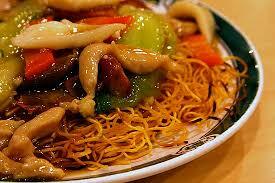 Bunny chows are commonly eaten using the fingers, it is very unusual to see locals use utensils when eating this dish. Due to the long queues at the competition, we decided to visit Hollywood in Springfield for lunch today. Alt R40 for a quarter mutton bunny, it was delicious and definitely deserved to win the title of BEST BUNNY in KZN! Durban Mutton Curry Recipe – The BEST! !